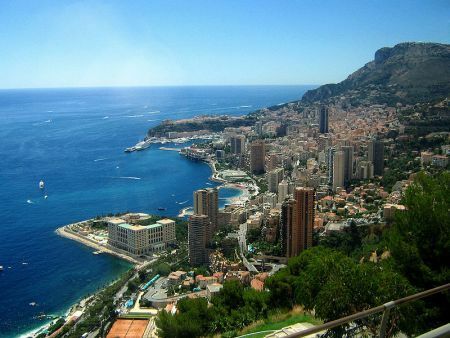 The tiny country of Monaco has the world's highest population density. With an area of 3/4 of a square mile and a total population of 32,000, Monaco has a density of almost 43,000 people per square mile. However, since Monaco and other microstates have very high densities due to their extremely small size, Bangladesh is often considered the most densely populated country, with more than 2,200 people per square mile.